Does Copyright Have a Framing Problem? Margot E. Kaminski & Guy A. Rub, Copyright’s Framing Problem, 64 UCLA L. Rev. 1102 (2017). Numerous provisions of the Copyright Act of 1976 (“1976 Act”) use the term “work” as a key referent for determining copyrightability, ownership, scope of rights, limitations on scope, and remedies. Yet, Congress did not provide a general-purpose definition of what counts as a “work,” even though it defined a plethora of arguably much less important terms. When the parties in litigation explicitly or implicitly disagree about the fundamental issue of what the plaintiff’s or defendant’s work is, what is a court to do? This is a big and important question. While Kaminski and Rub do not provide a full response, they do frame the problem and illustrate how it plays out in many contexts. They demonstrate that courts have considerable flexibility in how to define the relevant work. Sometimes, courts use this flexibility to “zoom in” on particular facets of, for example, a design on a carpet that mixes public domain and original elements. Other times they “zoom out” to consider a work’s total concept and feel. Courts rarely defend their framing of the relevant work, and when they do, they do not use a shared set of criteria to justify their choices. Kaminski and Rub have three goals for this article. First, they review numerous cases that illustrate the range of legal issues for which a court’s framing choice is consequential. They show the inconsistency of judicial framing choices and the rarity of justifications of these choices. Second, they argue that the doctrinal flexibility judges have exercised is more a feature than a bug in copyright law because it supplements a court’s ability to tailor the scope of rights or remedies in particular cases to better achieve copyright’s goals. Third, they argue that courts should more self-consciously exercise this framing flexibility and provide a justification for their choices. The authors close with a set of criteria courts might rely on to provide such a justification. In their survey of the choices that are available to courts in framing the definition of the “work,” the authors start with the cases involving copying that is not wholesale, so-called “non-literal infringement.” The legal test is whether the two works are “substantially similar,” and how this is applied depends greatly on how the plaintiff’s and defendant’s works are framed. One of the more difficult issues in this analysis involves whether a character is a work independent of the larger narrative in which the character appears, and if it is a work, how is that work defined when the character, say, Sherlock Holmes, or the Batmobile, evolves? The article briefly discusses how the Ninth Circuit “zoomed out” from the many iterations of the Batmobile to focus on its general characteristics in the Batman series to define the work in DC Comics v. Towle.1 As a reader, I wanted the authors to dive a little deeper into this issue to compare and contrast some of the other character cases. The article then turns to questions of authorship, showing that courts have decided in motion picture cases to zoom out and treat the dominant author of the motion picture as the author, rejecting the theory that an actor creates a distinct work in a scene for which the actor is primarily responsible. 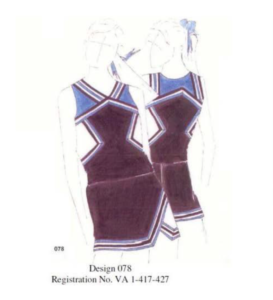 The article then dives deeper into the useful article doctrine, arguing that the Supreme Court, in its enigmatic recent decision in Star Athletica LLC v. Varsity Brands, Inc.,2 sent conflicting signals about how to frame the design features and the utilitarian aspects by zooming in on the chevrons on a cheerleading uniform in parts of the discussion and zooming out to look at the uniform as a whole in others. Turning to the framing tests the courts have used, or could use, Kaminski and Rub argue that most courts use no test, showing the inconsistent framing in cases involving photographs copied from collections of photographs as an example. Courts sometimes ask whether something is a work or a constituent element by testing it for copyrightability, but the authors persuasively argue that this test does too little work. A market-based approach has some appeal, and some courts ask whether the putatively independent works can “live their own copyright life [sic].”3 A variant on this test is whether the putative work has independent economic value. The authors acknowledge the appeal and some utility of this approach, but they rightly caution that with increasing variety in bundling and unbundling of works in digital form, market signals are less likely to provide stable guidance. The closing section of the article argues that judicial flexibility in framing the work is beneficial because it allows courts to tailor protection and remedies with respect to policy considerations such as: the incentives-access tradeoff, managing transaction costs, and channeling creativity. As a result, permitting inconsistent framing depending on the doctrinal context provides some benefit. Small units may be copyrightable, and therefore works, for the purposes of copyrightability, but if each copyrightable unit is eligible for a separate award of statutory damages, existing problems with proportionality in statutory damages would become greatly magnified, for example. 802 F.3d 1012 (9th Cir. 2015). 137 S. Ct. 1002 (2017). Gamma Audio & Video, Inc. v. Ean-Chea, 11 F.3d 1106, 1116 (1st Cir. 1993). 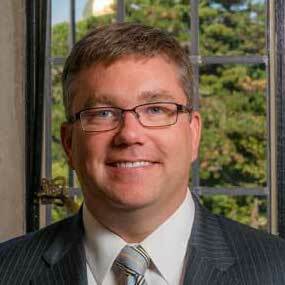 Justin Hughes, Size Matters (or Should) in Copyright Law, 74 Fordham L. Rev. 575 (2005). Cite as: Michael W. Carroll, Does Copyright Have a Framing Problem?, JOTWELL (May 29, 2018) (reviewing Margot E. Kaminski & Guy A. Rub, Copyright’s Framing Problem, 64 UCLA L. Rev. 1102 (2017)), https://ip.jotwell.com/does-copyright-have-a-framing-problem/. Stephanie Bair & Laura Pedraza-Fariña, Anti-Innovation Norms, 112 Nw. U. L. Rev. 1069 (2018). For more than a decade, intellectual property scholars have demonstrated how informal social norms can efficiently substitute for formal legal protections to promote creativity and innovation. Now come Stephanie Bair and Laura Pedraza-Fariña to show that social norms can have a less happy effect. In some instances, they argue, informal social norms may impede innovation. Their forthcoming article, Anti-Innovation Norms, explores a selection of these and what might be done about them. According to the standard economic story, IP rights exist to solve a public goods problem. In the absence of IP rights, rampant copying would reduce the ability of creators to recoup their investments, and society would face underinvestment in new works and inventions. IP rights solve this problem by enabling creators to charge supramarginal prices for those works and inventions. Although IP rights are costly, they produce net benefits by encouraging creativity that we wouldn’t otherwise have. Yet a still-expanding list of studies has shown that in many industries, including fashion design, cooking, stand-up comedy, and tattooing, the lack of formal IP protection has not killed creativity. In these and other fields, robust social norms that promote creativity and attribution and that shun certain kinds of copying can replace formal legal protection more flexibly and at lower social cost. Norms can make free riding costly, and they support those engaged in creative work. Professors Bair and Pedraza-Fariña do not gainsay the importance of social norms to limit the effects of free riding in many low-IP fields, but they suggest that scholars’ focus on free riding has caused them to miss other, less salutary, social norms that affect innovation. In particular, Professors Bair and Pedraza-Fariña demonstrate the existence of a group of norms that undermine an especially valuable source of innovation—disciplinary boundary crossing. While many of the most important innovations in science, technology, and the arts come from the merging of insights from previously unrelated fields, creators can face substantial disincentives to engage in boundary-crossing work. Professors Bair and Pedraza-Fariña have, themselves, not been dissuaded from crossing disciplinary boundaries to substantiate their account. They turn first to sociological studies of science and the arts in order to identify three anti-innovation norms: research priority norms, methodology norms, and evaluation norms. These norms tell people within a given field (1) to work on projects that the field deems valuable, (2) to apply methods deemed acceptable to those projects, and (3) to judge the value of contributions to the field on terms that the field prefers. Drawing on examples from physics, medicine, and contemporary visual art, the authors demonstrate how anti-innovation norms create field-specific professional and reputational costs that discourage creators from pursuing potentially more valuable opportunities at or beyond the borders of their fields. Continuing their own boundary crossing, Professors Bair and Pedraza-Fariña next turn to social psychology to explain possible sources of anti-innovation norms. They focus on two aspects of individual decision-making, the status quo bias and the conformity bias, as the likely culprits. For a variety of reasons, people tend to be strongly attached to the ways things are now, and it can be surprisingly difficult to get people to switch away from their present status. In addition, people generally like to conform their behavior to those in their social groups. Conformity aids group membership and solidarity and the benefits they confer. The authors speculate that these two tendencies can make it harder for individual creators to break away from accepted paths and procedures and to risk forging their own identities. Having established the existence of anti-innovation norms, Professors Bair and Pedraza-Fariña return to their disciplinary home to consider whether law can do anything to solve the problems they’ve articulated. In large part, they are skeptical of IP law’s ability to particularly encourage boundary-crossing innovation, because copyright and patent tend to reward innovations without reference to whether they combine diverse insights or not. They argue that IP’s reliance on decentralized market signals, which is normally considered a feature, can also be a bug when those signals are filtered through a norm-inflected view of the technological or artistic environment. Although the authors suggest some tweaks to IP doctrine, their policy proposals focus instead on using grant funding and tax incentives to encourage and reward boundary-crossing creativity. Professors Bair and Pedraza-Fariña have helpfully reminded IP scholars that social norms are not always a good thing for creativity. In addition to the norms against boundary crossing, other norms may discourage certain kinds of creators or certain kinds of creativity from emerging. As we develop a richer view of the sociology and psychology of innovation, we should pay attention to the costs of informal ordering as well as to its benefits. Cite as: Christopher J. Buccafusco, When Social Norms for Innovation Don’t Maximize Social Welfare, JOTWELL (April 30, 2018) (reviewing Stephanie Bair & Laura Pedraza-Fariña, Anti-Innovation Norms, 112 Nw. U. L. Rev. 1069 (2018)), https://ip.jotwell.com/when-social-norms-for-innovation-dont-maximize-social-welfare/. In an outstanding empirical analysis, corresponding author Danielle Li at MIT Sloan and her three coauthors—Pierre Azoulay at Sloan, Joshua Graff Zivin at UC San Diego Economics and Public Policy, and Bhaven Sampat at Columbia Public Health (collectively, “AGL&S”)—have tackled this question for grant funding by the U.S. National Institutes of Health (NIH). With a budget of over $30 billion per year for biomedical research, the NIH is the single largest research funder in the world. But assessing the causal impact of this investment is difficult, even when focusing only on its effect on private-sector patents. How can one measure information flows in fields full of serendipity and spillovers? Are grants merely correlated with private-sector advances? Does public funding “crowd out” private investment? AGL&S’s empirical design makes progress on each of these issues, and they conclude that each $10 million in NIH funding in fact generates 2.7 additional private-sector patents. Prior work has studied outcomes in specific areas of NIH grant funding (which misses advances in different fields) or citations to university patents (which misses grant-funded academic results that are not patented). Instead, AGL&S look to publications resulting from these grants, and then to patents that cite these publications, which have been shown in a validation against survey results to be a better measure of the influence of public sector research than patent-to-patent citations. Out of the 153,076 NIH grants funded between 1980 and 2005, about 40% led to a publication cited by a patent; and out of the 232,276 private-sector life-science patents issued by the USPTO between 1980 and 2012, about 40% directly cited an NIH-funded publication. A second empirical challenge is that public funding may target the most promising research areas, so increased grant funding might simply be correlated with increased patenting in that area rather than causing it. AGL&S take on this problem in two ways. First, they classify grants by disease (e.g., cancer), scientific approach (e.g., cell signaling), and time (e.g., 1990), allowing them to include fixed effects to account for these potential sources of endogeneity in funding. Second, they find effectively random variation in funding at the disease/science/time level based on grant applications whose review scores were just above or just below the NIH’s funding cutoffs, and they use the “windfall” funding received by a disease/science/time above the cutoffs as an instrument for total funding. Under both approaches, they find that additional funding increases the number of patents that cite NIH-funded publications. The third challenge noted above is that grant-funded research might crowd out private-sector funding, such that the increase in private-sector follow-on patenting is accompanied by a decrease in patents that do not rely on NIH-funded results. To be clear, substitution of patents with grants is not necessarily problematic from an economic perspective: both are costly, and neither is optimal in all circumstances. But AGL&S show that grant funding spurs rather than substitutes for private-sector R&D. To study this effect, they use a separate dataset of patents that cite publications related to NIH-funded publications (using a keyword-based similarity measure). If NIH funding merely crowded out private research, the authors argue that one would not expect the award of an NIH grant to increase the number of patents in a research area, but instead, they find an increase here as well. These results come with a number of caveats, the most important of which is that AGL&S focus on the outcome of only private-sector patenting, which ignores the many other benefits of public biomedical research. In the life sciences, more innovations are probably captured by the patent system than in other fields, but there are certainly medical innovations such as ICU hygiene checklists that have enormous social benefit that is not easily excludable with patents. This problem would be exacerbated in other areas of research, which is one reason that it would be difficult to replicate AGL&S’s analysis for grants from other funding agencies. Of course, even within the life sciences, turning this result into a rate of return is difficult. AGL&S’s back-of-the-envelope calculations lead to tentative estimates on the order of a $20–$30 million increase in firm market value for each $10 million NIH grant. The true social rate of return might be significantly higher (e.g., if social value is significantly higher than firm market value, or if firms often build on uncited knowledge) or lower (e.g., if patents frequently cite to papers that are not real intellectual influences). But even if one focuses only on the results that can be determined with more precision—the positive effect on private-sector patenting and the lack of measurable crowding out—the results in this paper are important data points for the increasingly polarized discussion of direct government R&D funding. Cite as: Lisa Larrimore Ouellette, What Is the Payoff from Public R&D Investments?, JOTWELL (February 28, 2018) (reviewing Pierre Azoulay, Joshua S. Graff Zivin, Danielle Li & Bhaven N. Sampat, Public R&D Investments and Private-Sector Patenting: Evidence from NIH Funding Rules (revised 2017), available at NBER), https://ip.jotwell.com/payoff-public-rd-investments/. Rebecca Wexler, Life, Liberty, and Trade Secrets: Intellectual Property in the Criminal Justice System, 70 Stan. L. Rev. (forthcoming 2018), available at SSRN. How pervasive are software-based information technologies in the criminal justice system these days? And what role does trade secrecy law play in blocking defendants’ access to technical information about the design of these technologies from which to assess their objectivity and accuracy? The short answer to both questions is much more than you may have expected, as you will learn when you read Wexler’s fascinating and powerful new article on intellectual property in the criminal justice system. Among other things, the article shows just how ubiquitous these technologies have become in virtually every stage of the criminal justice system: from police investigations to risk assessment for bail setting to evidence prepared for or presented at trial to sentencing and parole decisions. When defense lawyers raise questions about the accuracy of the outputs of these technologies and seek access to source code or other technical documentation, courts have been quite receptive to arguments that non-disclosure is justified because the information is a trade secret. Wexler’s thesis is that there should be no trade secrecy privilege in criminal cases. Period. Protective orders can adequately protect any trade secrets implicated by a criminal defense discovery request. An especially interesting part of the article comes from its revelations about the evolution of trade secrecy privileges in civil and criminal cases. Wexler did considerable archival research and, among other things, discovered that courts initially recognized no such privilege. Getting at the truth was more important than protecting a witness’ secrets. When courts did begin to take trade secrecy into account, the initial rationale for doing so was to shield witnesses from self-incrimination (i.e., if revealing a commercial secret in court would put the witness at risk for civil or criminal liability). In the early twentieth century, a lively debate cropped up between evidence treatise author John Wigmore and Judge Learned Hand over whether a trade secrecy privilege should be recognized in civil litigation. Hand opposed such a privilege because he valued truth-seeking over protection of commercial secrets. Wigmore, by contrast, supported legal recognition of a trade secret privilege. During the course of an American Law Institute (ALI) model code project on evidence, members of the ALI were split on the issue, some favoring Hand’s view and some favoring Wigmore’s. Eventually the model code adopted Wigmore’s position, perhaps in part as a result of technology industry lobbying. But even then, the privilege extended only to privilege non-disclosure of trade secrets in civil litigation. There is obviously a much stronger rationale for recognizing a trade secret privilege in civil cases. These lawsuits often involve disputes between competitors or would-be competitors in the commercial marketplace. Fair competition would be undermined if, for example, the very trade secrets at issue were dissipated in a litigation aimed at protecting them. 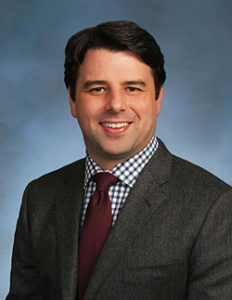 But as Wexler points out, that risk does not exist in criminal cases because defendants and defense lawyers who seek access to secret information about technologies that police or prosecutors are using to arrest, convict, and punish these defendants are unlikely to become commercial competitors of the trade secret claimants. Not until 1991 did any state have a trade secrecy privilege for evidence proffered in criminal cases. In that year, the California legislature modified its evidence statute to recognize such a privilege. The goal of this change, though, was to prevent public disclosure of the secrets in the course of criminal proceedings, not to serve as a limit on what information defendants could obtain about technologies being used to convict or punish them. The first appellate court decision applying this trade secret privilege to block defense efforts to obtain disclosure of information used to convict a defendant was not rendered until 2015. A lawyer for Martell Chubbs asked a court to order disclosure of the source code of a forensic program that had produced evidence used to support Chubbs’ conviction in a death penalty case. The trial court agreed with Chubbs’ lawyer that unless the defense had access to this code, Chubbs would be denied the right to confront and cross-examine relevant witnesses against him. The developer of the software, however, refused to turn over the source code on the ground it was a trade secret. On appeal, a California court overturned the disclosure order on the ground that the source code was a trade secret, which could be disclosed only if the defense met a high standard to justify such a disclosure. The Chubbs case has influenced courts in some other jurisdictions, although a few courts have been more receptive to source code disclosure requests. Those who support the existence of a trade secret privilege for source code and other technical documentation argue that without it, there will be too little incentive for developers to invest in the creation of software that can produce objective evidence that will make criminal trials more accurate and effective. Wexler challenges this argument on several grounds. 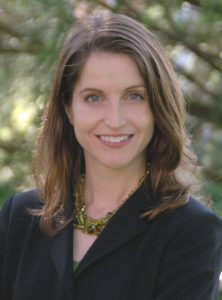 She explains various limits that already substantially curtail discovery in criminal cases, the discretion courts have to deny abusive discovery requests, and the availability of protective orders to protect secrets that have commercial value. She argues that greater transparency of technical information about forensic and other technologies used in the criminal justice system might even spur more innovation, as companies will no longer be able to overprotect their programs through aggressive trade secret claims. 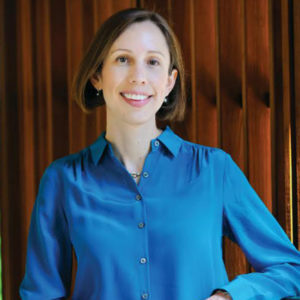 Wexler points to other mechanisms, such as prizes and government grants, that, as Natalie Ram has shown in another stimulating article, Innovating Criminal Justice, could support the development of criminal justice system software. Wexler argues that recognition of the trade secret privilege in the criminal justice system is both unnecessary and harmful. Because this privilege is a creature of the common law in most states, the ongoing common law process can rectify the mistaken belief that the trade secret privilege is sound and has a long pedigree. She offers a vision about how to move forward with better public policy on this important but mostly unnoticed dimension of our criminal justice system. This article opens up a welcome new line of research in the intellectual property field. Cite as: Pamela Samuelson, Questioning Trade Secret Privileges in Criminal Cases, JOTWELL (December 1, 2017) (reviewing Rebecca Wexler, Life, Liberty, and Trade Secrets: Intellectual Property in the Criminal Justice System, 70 Stan. L. Rev. (forthcoming 2018), available at SSRN), https://ip.jotwell.com/questioning-trade-secret-privileges-in-criminal-cases/. Betsy Rosenblatt, Belonging as Intellectual Creation, 82 Mo. L. Rev. 91 (2017). The community’s boundaries were porous and self-policed. Anyone was welcome to claim membership; the only requirement was to create or be the recipient of creation. Although the basic form of the hat was loosely defined — pink in color and rectangular in shape — individual knitters were free to stylize their hats in any way they wished. Patterns were freely shared, and distribution took place via a voluntary infrastructure. The community that resulted produced tens of thousands of hats in two months, and representative hats now reside in the collections of major museums across the country. Scholars will undoubtedly have much more to say about this movement as its history is written, including critiques involving, inter alia, race, class, gender identity, and the sociology of protest movements. For now, the project is worth adding to our consideration of other organic communities that have inspired creativity without a focus on commercialization — even if they also feature stronger policing mechanisms (Wikipedia), more reliance on traditional IP inputs (fan edits and cosplay), or more emphasis on reputation building (message boards and Facebook posts). What do these community gardens of creativity — unburdened by concerns about monetization or propertization — tell us about what the goals of intellectual property law should be? Professor Betsy Rosenblatt suggests in her recent article that the law has too narrow a focus. Creating with and for others, research shows, promotes a sense of belonging, which, in turn, motivates and improves the results of creativity. Indeed, for the pussyhat knitters, a sense of belonging to a social movement likely provided the entire motivation to create. (I should make clear here that the example throughout of the Pussyhat Project is mine, not Professor Rosenblatt’s.) So if the law focuses only on the tangible results of creativity — what Professor Rosenblatt refers to as “stuff’ — and fails to consider the importance of belonging, it might incentivize less creativity than it otherwise would. What does it mean for a creator to belong? 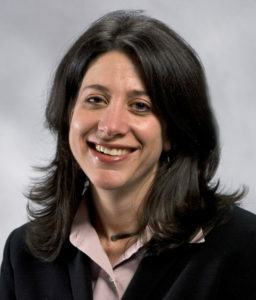 Professor Rosenblatt writes that a sense of belonging is both personal and “contextually mediated.” It arises when an individual feels “included, valued, and respected” by members of a group to which she is connected and with which her “values are in harmony.” (P. 96.) Belonging may be, at times, officially determined, but a sense of belonging can be only a psychological and emotional phenomenon. One cannot experience a sense of belonging unless one perceives oneself to belong, depending on “the individual’s subjective experience of interactions with in-group and out-group members.” (P. 100.) Whether a group offers official validation in the form of an award or membership criteria, unofficial acceptance in the form of discussions and ratings of one’s creative efforts, or simply the ability to become part of the group through an act of creativity, the emotion that is likely to spur creativity is the (scientifically tested) feeling of connection these activities inspire. So if a sense of belonging both inspires and is inspired by creativity, and if creativity is what our intellectual property system aims to incentivize, at least in part, shouldn’t our system take belonging more into account, along with other noneconomic motivations? If it did so, what might such a system look like? This is an important, albeit challenging, project, and, to her credit, Professor Rosenblatt remains cautiously optimistic about intellectual property law’s ability to respond fully to these questions. Focusing primarily on copyright law, she suggests that greater attention should be paid to attributional and reputational interests and to rules that encourage collaboration and playfulness — all areas that align with the inherently psychological nature of belonging. Yet, even starting modestly, we cannot ignore some important threshold questions that will help to anchor foundational principles. Should intellectual property law remain agnostic if, for example, the sense of belonging it promotes results in a group that is socially undesirable and/or dangerous to others? Should it matter whether intellectual property law is used to foster a sense of belonging or to assert a preference for disassociation? Without a firm sense of our values regarding these questions, our ability to foster the conditions for socially beneficial creativity will be hampered. So what might we learn from the Pussyhat Project, insofar as it serves as one case study for Professor Rosenblatt’s proposal? The creative productivity generated by the pussyhat knitters would not have resulted without a sense of belonging. It also would not likely have resulted if the project had been bound by formal rules, by a sense of ownership, by exclusion, or by a definition of “the work” — all intellectual property law’s vocabulary. Not all communities, of course, are creative (or creative in the same way), and not all creators benefit from community (or benefit from it in the same way). But Professor Rosenblatt’s thoughtful article reminds us that the intersection of creativity and community is a subject worthy of our continued attention. It asks us to consider whether the law should pivot to do more to actively engage inspiration, focusing on the psychological motivations that, for many individual creators, are central to creativity — or whether the law should instead recognize its limits and simply do its best not to get in the way. Cite as: Laura A. Heymann, Creative Communities and Intellectual Property Law, JOTWELL (November 1, 2017) (reviewing Betsy Rosenblatt, Belonging as Intellectual Creation, 82 Mo. L. Rev. 91 (2017)), https://ip.jotwell.com/creative-communities-and-intellectual-property-law/. Abhishek Nagaraj, Does Copyright Affect Reuse? Evidence from Google Books and Wikipedia, Mgmt. Sci. (forthcoming 2017), available at abhishekn.com. How should copyright law change to take account of the internet? Should copyright expand to plug the internet’s leakiness and protect content that the internet would otherwise make more freely available? Or, should copyright relax its strict liability regime given diverse and productive reuses in the internet age and the benefits networked diffusion provides users and second-generation creators? Answering these questions depends on what we think copyright is for and how it is used and confronted by creators and audiences. In a new article studying these questions in the very focused setting of Wikipedia articles about baseball and baseball players (there are more than you might imagine! ), Professor Abhishek Nagaraj demonstrates that where production of new knowledge depends on pre-existing information, strong copyright law can reduce both the quality and quantity of new content. Professor Nagaraj studies the intersection of digital access and information diffusion. In the paper reviewed here, Nagaraj takes advantage of the lack of automatic renewal of copyrighted works published before 1964, rendering many to the public domain, to estimate the effect of access to public domain material on the quality of Wikipedia pages. His findings both confirm other studies in this area and raise new lines of inquiry. This paper tells several stories. The first starts in 2008, when Google Books digitized all of the issues of Baseball Digest between 1940 and 2008. Of these, the pre-1964 issues are in the public domain; the rest remain under copyright. This first story explains how Wikipedia articles about baseball cite to the public domain Baseball Digest issues twice as much as the in-copyright sources. It is no surprise that digitization of an important source of information about baseball enables access and encourages the reuse of this resource on Wikipedia, the fifth-most visited website (with about 10 billion page views monthly). After digitization, citation to Baseball Digest increased 300% over pre-digitization levels. What surprises more is that public domain sources (which are also older) are cited more frequently than in-copyright sources, despite both being digitized fully by Google Books. As Nagaraj demonstrates, relying on quantitative analysis of citation frequency and open-ended survey questions with Wikipedians, copyright is a barrier to citation and reuse of the digitized material, and Wikipedians are paying attention to those barriers. This paper tells another story about the consequence of the copyright barrier – i.e., that it diminishes the quality of the Wikipages about certain baseball players who played after 1964. For pages about baseball players who are neither famous nor obscure (e.g., the average player about whom a Wikipedia page would come in handy), those players who made their debut appearances before 1964 have higher quality pages than those who began playing after 1964. How does Nagaraj measure quality? By measuring what he argues is circumstantial evidence of higher quality content: citation to Baseball Digest, the number of images on the page, and the number of visitors to the page (as a measure of reader utility). Pre-1964 player pages for well-known (but not superstar) players have almost twice the number of citations to Baseball Digest, 1.78 images as compared to 0.92 for in-copyright player-pages, and they attract about forty-seven more visitors per month on average. Nagaraj describes this effect in terms of a welfare impact, suggesting that pages negatively affected by copyright are unable to fully capture and deliver value to end users. In intellectual property debates, we often worry about quality over quantity, whether the “progress” to which the intellectual property clause of the Constitution aims is more stuff or better stuff, “better” being a tricky term. We also worry about the relevance of citation counts. A helpful and intriguing feature of Nagaraj’s paper is his metric for quality that is both quantitatively measurable and qualitatively significant for the community the content serves (baseball fans). The third story this paper tells is the most interesting of all. It concerns the differential impact of copyright restrictions on images versus text, which difference is driving the first story described above. Generally, digitization should lower the costs of reuse for both types of media, but Nagaraj shows that text is cited to at a significantly higher rate than images, leading to the reuse of and reliance on text at a much higher rate than images from the in-copyright Baseball Digest sources. This means that the digitization of content benefits textual content more than images (photographic or otherwise). Or, more precisely, the negative effects of copyright on citation and use disappear for text and are driven by a lack of reuse of images post-1964. Nagaraj hypothesizes and then demonstrates that because images require more “transformation” (under copyright fair use) than textual content to avoid infringement liability, the gains of access won by digitization are mitigated, for the in-copyright images, by copyright’s imposition of greater transaction costs. It follows that the “reuse of out-of-copyright content is likely to be higher for images … than for text” (P. 16), suggesting that the public-domain status of images is more important for diffusion and reuse of this kind of information and content. In fact, Nagaraj shows that the “likelihood that an image will be reused from a post-1964 [in-copyright] issue of Baseball Digest is very close to zero, even after digitization [whereas] … the pattern for text citations is quite different. … In-copyright and out-of-copyright text citations track each other pretty closely, suggesting that copyright has very little impact on preventing the reuse of digitized textual material.” (Pp. 17-18.) His chart reproduced below illustrates this point. This last story raises fascinating questions. First, in a networked digital age in which photographs, logos, memes, and other graphic images have been shown to circulate more swiftly and broadly than text, in which images dominate the semantic web (including, importantly, journalism and social media), it is surprising that copyright may control the use of images as forcefully as Nagaraj documents about Wikipedia. This is a significant threat to veritable and free speech. Second, the collection and management of photographs online is growing in concentration and expense. There are a lot of free images on the web, but they serve to entertain or illustrate, not to inform or contribute facts for debate. (There is a reason we see the same pictures of Mitch McConnell, Antelope Canyon, or the Lincoln Memorial on news sites). New, timely, and authenticated photos are harder to source; there are fewer photojournalists and even fewer aggregators and news agencies managing the collection and distribution of news. If, as Nagaraj’s study proves, internet users rely on photographs to anchor and explicate information sought, copyrighted photographs circulate less freely than text online (a statement many photographers would dispute, but that’s another story), and because news outlets now less frequently pay for and distribute photojournalistic images, we have a significant information problem in the digital age. Third, is it possible that Wikipedians are so closely hewing to the copyright fair use analysis that it is harder to claim transformative fair use of photographs than text? In my research, I found creative and innovative communities followed idiosyncratic norms of copying (or not copying) that did not align with intellectual property law. The story Nagaraj tells about the non-use of photographs versus the use of text under copyright on Wikipedia is a story of behavior arguably aligning with copyright doctrine. Reusing copyrighted photographs verbatim is harder under copyright fair use than quoting or paraphrasing parts of text. But if you surf the internet with its seemingly uncontrolled reproduction of photographs, you would be forgiven for thinking that copyright law doesn’t act as a barrier to copying and distribution of photographs at all. So what explains the Wikipedian’s careful non-use of photographs under copyright? Banners on Wikipedia pages indicate editors are indeed knowledgeable about complex copyright rules. But, perhaps more importantly for the welfare question, Nagaraj asks: is the Wikipedian’s behavior that may be copyright compliant (although arguments exist on both sides) good for their encyclopedic project to produce and disseminate free high-quality and comprehensive information to world readers? These are big and important questions Nagaraj tackles admirably. For anyone interested in a model for robust quantitative experimentation in intellectual property with qualitative implications and analysis for further study, I highly recommend Nagaraj’s newest paper. Cite as: Jessica Silbey, Three Strikes for Copyright, JOTWELL (October 13, 2017) (reviewing Abhishek Nagaraj, Does Copyright Affect Reuse? Evidence from Google Books and Wikipedia, Mgmt. Sci. (forthcoming 2017), available at abhishekn.com), https://ip.jotwell.com/three-strikes-for-copyright/. Robert Spoo, Courtesy Paratexts: Informal Publishing Norms and the Copyright Vacuum in Nineteenth-Century America, 69 Stan. L. Rev. 637 (2017). It is now a familiar point that positive law accounts for only part of the systems that regulate human behavior. Robert Ellickson’s cornerstone treatise, Order Without Law, showed how closely-knit groups construct norm-based rule structures that govern behavior more efficiently than state-created law. In the past decade or so, scholars have investigated a number of areas in which individuals engaged in creative production similarly opt for norm-based systems in lieu of copyright or trademark law. 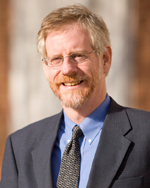 Professor Robert Spoo’s recent article, Courtesy Paratexts: Informal Publishing Norms and the Copyright Vacuum in Nineteenth-Century America, represents a fascinating and important contribution to this growing literature. Spoo’s article harkens back to the mid- and late 1800s, a time when foreign authors received no copyright protection in the United States. In the absence of formal legal protection for foreign authors’ works, domestic publishers created a series of agreements with each other that the first house to print copies of a foreign author’s novel would be able to do so without competition—even in the absence of enforceable copyright law. These informal agreements were expressed and furthered to a large extent by courtesy paratexts: Brief written passages in the front matter of a book in which the book’s author would affirm that the publisher was acting within the courtesy of the trade to print their work, and exhorting readers to buy only authorized editions to assure the author and publisher alike their fair remuneration. Beyond the absorbing stories themselves, Spoo’s work makes significant substantive contributions to the study of norm-based systems of creative property. One feature of such systems is that they will always be more fragile than traditional law, since they lack state sanction and are stitched together largely by mutual consent. Spoo illustrates the implications of this fragility in detail with the story of Charles Dickens. Dickens, who like Kipling harbored deep frustration with the lack of U.S. copyright protection for foreign authors, decided quite suddenly that he wanted to switch to a new publisher. This violated the courtesy of the trade (the initial publisher was to have exclusive rights to all of that author’s works), but since Dickens was a literary giant, he got his way, courtesy be damned. But fragility may function as a feature, not just a bug, of norm-based systems. For example, Spoo points out that while the courtesy of the trade was essentially an anticompetitive scheme, it did not result in publishers charging vastly supracompetitive prices. The reason is that publishers likely knew that if they charged exorbitant prices, readers might object, rogue publishers would be emboldened, and the whole system could collapse. Spoo’s discussion of the impact of the informal trade courtesy system on prices invites even more investigation about its normative implications. The conjecture that publishers did not charge excess prices for fear of reprisal from consumers and rogue printers is an important part of the story. But the entire discussion of price only hints at the bigger question: was the trade courtesy system on balance welfare-enhancing for consumers of information? It may not have been. Foreign authors understandably loathed their lack of U.S. copyrights, but this absence was unlikely to have decreased their incentives to create, given the robustness of European markets. And U.S. readers did not need higher-end publishers to issue pricey editions of foreign books given the profusion of rogue publishers willing to crank out cheap books at low prices. It is not clear whether this system arose to remedy a market failure at all (at least from readers’ perspectives), or whether it was just a collusive arrangement that allowed publishers to extract value that would otherwise been unavailable to them. And it thus also remains a question still worth asking whether the public—which is, after all, meant to be the primary beneficiary of U.S. copyright law—was made better off by the trade courtesy system. Like all good historical analysis, Spoo’s work also helps to shed light on modern problems. He notes that courtesy paratexts persisted in attenuated form into the twentieth century, but neglects to mention that they persist, alive and well, on the internet. 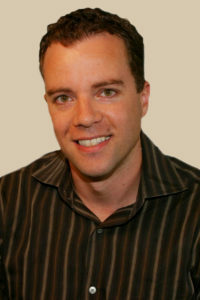 Writers of fan fiction, for example, typically preface their works with disclaimers that, among other things, disclaim any intent to infringe the author’s copyright, indicate their lack of any copyright ownership in the underlying material, and warn the reader in the event of possibly offensive content. These are courtesy paratexts in modern guise, though the direction of dialogue is different: While the nineteenth-century authors beseeched readers to purchase only authorized editions despite any legal compulsion to do so, modern-day fan fiction are written by readers imploring authors not to take issue with the unauthorized use, despite their (possible) legal entitlement to do so. While I could continue extolling the virtues of Spoo’s article, I will conclude instead by saying that beyond its substantive merits, this article was a joy to read. Let’s be honest: Many—perhaps most—law review articles are like kale. They’re good for you but consuming them can be a chore. Spoo’s sparkling account of courtesy paratexts, and the system of informal norms that governed the publication of foreign novels in the late 1800s generally, is as elegantly written as it is meticulously researched and academically significant. Courtesy paratexts provide yet another reminder of the varied ways that closely-knit groups create extralegal systems of regulation to govern creative production when they find law unavailable or impractical. Cite as: David Fagundes, Courtesy Without Copyright, JOTWELL (July 20, 2017) (reviewing Robert Spoo, Courtesy Paratexts: Informal Publishing Norms and the Copyright Vacuum in Nineteenth-Century America, 69 Stan. L. Rev. 637 (2017)), https://ip.jotwell.com/courtesy-without-copyright/.